TurtleSkin Patrol Gloves were designed specifically to prevent cuts from sharps in a heavy duty, comfortable, leather police glove. This protective glove features a supple neoprene and leather outer shell for great grip and a tough 100% para-aramid liner. The combination of materials results in a police glove that makes it easy to perform demanding tasks that call for excellent dexterity while also offering great cut protection throughout the entire glove. 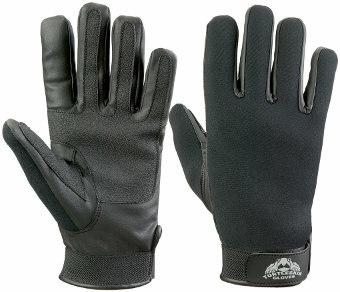 This lightweight neoprene glove is also ideal as a cooler weather and motorcycle glove.